A meeting of the first-year students with a law enforcement officer took place at the Institute of Physical Education and Sports in the city of Kreminna. 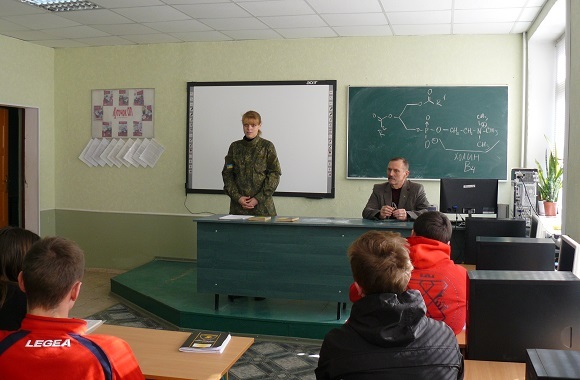 Thus, on October 25, a meeting of the employee of Kreminna District Police Department Major Svitlana O. Shpotya with the first-year students took place at the Educational and Research Institute of Physical Education and Sports in the city of Kreminna. The issues to clarify the rights and responsibilities of citizens, prevention of offenses among students were considered. The meeting aroused great interest among the students; they asked many questions and receive detailed answers. The similar meetings with law enforcement officers are provided by the plan on social and humanitarian work during the academic year.